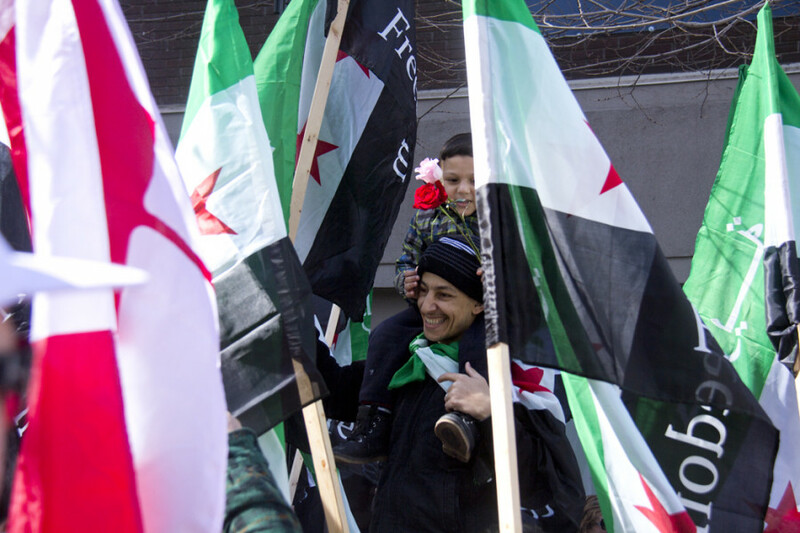 Syrian-Canadians gathered on de Maisonneuve Blvd. W. to mark the five year anniversary of the Syrian revolution and show solidarity for those still stuck in the Syrian civil war. They marched down Ste. Catherine all the way to Phillips Square. “25,000 have arrived to Canada, and we’re very thankful for them. But let’s not forget the millions that are under starvation and daily bombardment,” said Faisal Alazem, from the Syrian Canadian Council. The Syrian Canadian Council, Damascus Declaration, Syrian Kids Foundation, among others organized the march. Amnesty International was also present to promote it. Many refugees that had just arrived from Syria were also present. Throughout the speeches given, the common message was solidarity for Syria, for all citizens still under Al Assad’s regime and still stuck in the civil war. 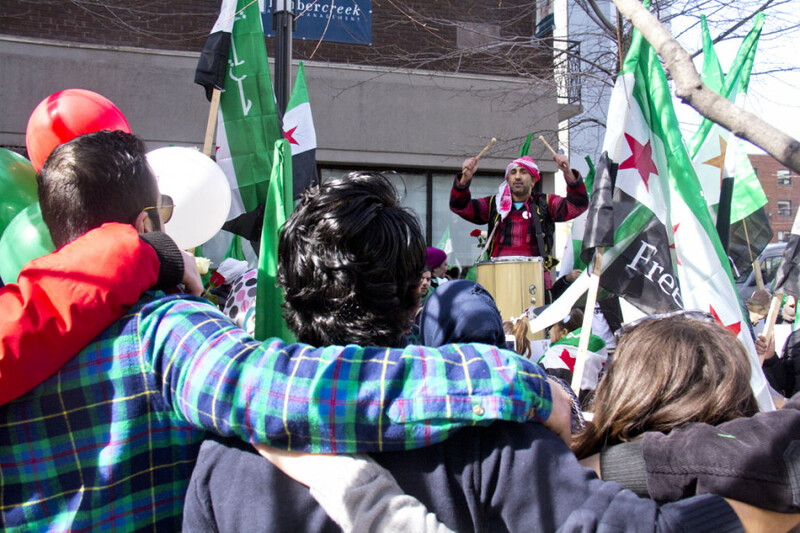 During the opening speeches before the march, Concordia student Yaman Alqadri spoke to the crowd about her experience being arrested by Assad’s men when she was 18. Alqadri was a medical student at Damascus University when she and her friends distributed flyers advocating freedom. While Canada has done some work in regards to helping the Syrian people, some protesters think that more can be done. “Trudeau is helping with bringing refugees but that’s, but nothing to stop the war Syria, nothing to stop Assad,” Al-Aswad said. Police were present, but previous protests have gone undisturbed. There was no expectation of a police intervention. 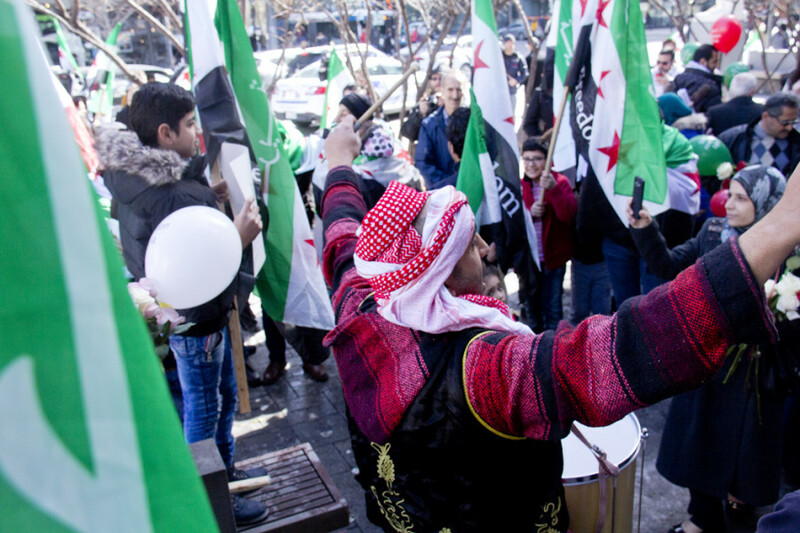 “We’re a peaceful people who just want dignity and freedom for Syrians,” Alazem said.